Be one of the first to enter 21st Hobie 16 World Championship to ensure your boat. With limited entries the first in will be guaranteed your bonuses. The early entry will ensure you get the discounted entry fee. Assured boat for your championships. Free shuttle bus transfers to and from the Shenzhen airport to the host hotel. 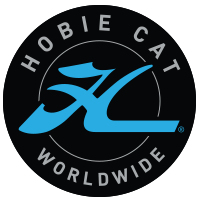 Plus the opportunity to meet your Hobie friends from around the world. • The opportunity to become World Champion in your class! • A lifetime of memories! So please enter now to ensure you don’t miss out on this wonderful opportunity.